If you ever plan on getting a license, there is no way around the permit test in 2015. In order to ensure that every driver knows the state traffic law and is able to navigate on the state roads, absolutely every license applicant has to go through a drivers permit test first. The DMV uses permit testing as the first step of the licensing procedure to seed out those who are not ready to get behind the wheel yet. The questions asked on the permit test usually cover the state traffic law and road signs. Some states may also introduce a few permit test questions that come from other areas, such as defensive driving techniques, but this is rather an exception. Unfortunately, most people tend to underestimate the level of questions they will get on the test and this that if they can name all the road signs on their way to the DMV office, that should pass them in no time. Sadly, this is not true as usually the drivers permit test contains from 20 to 50 questions (depending on your state of residence), with half of the questions covering the traffic laws and the other half concentrated on road signs. For example, a question from the traffic law section may sound something like “How many points from your license can you lose within a two year period without having your drivers license suspended?”. If you are able to answer twenty questions of this kind - you have nothing to worry about on your permit driving test. Thankfully, when it comes to preparing for your driver permit test, there is no shortage of study materials. The first thing you should always look for is the DMV drivers manual. This handbook is usually provided by the DMV free of charge, it is updated yearly and it contains the answers to any question you may encounter at the drivers license office. In most cases you can read the drivers handbook online or download it to your computer, so you don’t have to go anywhere to get it. Another very popular method of preparing for the exam is taking a permit practice test. 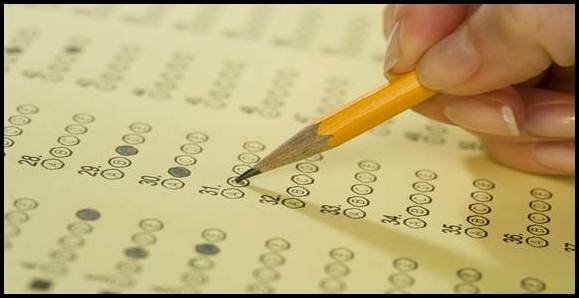 The practice tests feature similar questions to those that will be on the real DMV exam and will help you evaluate your current level of preparation. However, in our opinion, the practice permit tests are not self-sufficient and you should only use it as an additional source of information. Finally, there are professional drivers education classes. Some states even make completion of a drivers ed program compulsory for anyone who is applying for a drivers license or a learners permit. Drivers ed classes usually provide deeper insights into the driving law and ensure that you are well prepared when the time comes to take the learners permit test. Permit testing is administered by the Department of Motor Vehicles (it may also be known as Department of Transportation or Department of Public Safety in your state). Today, most states require you to appear in person for taking the test, however this is slowly changing and some states, such as Florida, already started offering the online permit test that can be taken from home. Generally, no appointment is necessary and most DMV offices accept walk-ins for permit testing during the regular business hours. You may still wish to call ahead to find out the best time to come to save yourself some waiting in line. Sadly, there is no such thing as a free permit test. You have to pay the drivers license application fee, which also covers your drivers permit test. The fee is usually around $5-$30. Drivers permit applicants who are under 18 years of age need to have a parent or legal guardian present at the time of the application. The parent or legal guardian usually signs the application form and confirms that the teenager has parental approval for receiving the learners permit. Depending on your state of residence, the permit test can be provided in other languages, such as Spanish, Chinese, Vietnamese, Russian, German or Mandarin. In some cases, the help of the translator can also be summoned for the test. Please call your local DMV office in advance if you require special arrangements for your exam. Those who pass the exam receive the learners permit. The permit is only intended for supervised driving and does not allow you to drive alone. Please observe all permit restrictions or your permit will be revoked. If you do not pass the test the first time, don’t stress. You usually have up to here tries at the end, but most states make you wait at least a week before you get another go. Use this time to work on the questions you missed, if you do not pass the test on your third attempt, you will have to wait from six to twelve months before you can take it again. The DMV may also have you take a drivers education program before you retake the test.